Unlike the salads on the West where it is usually consumed on its own before the mains salads in South East Asia or even East Asia are usually served on the side where it’s purpose is more of an a food flavour balancer, vegetable source at the same time an extender. That is why it is usually sweet and sour in taste and paired with meats, oily food and heavily flavoured dishes. Combine all dressing ingredients together in a small bowl. Place salad ingredients in a bowl then drizzle dressing on top and toss. I’m a seriously big fan of side salads to balance out flavours. There is a real art in pairing flavours to, so this one works great for me. What (protein) mains would you suggest to pair with this salad? Oh, I would love this Raymund – like Anna I love side salads. 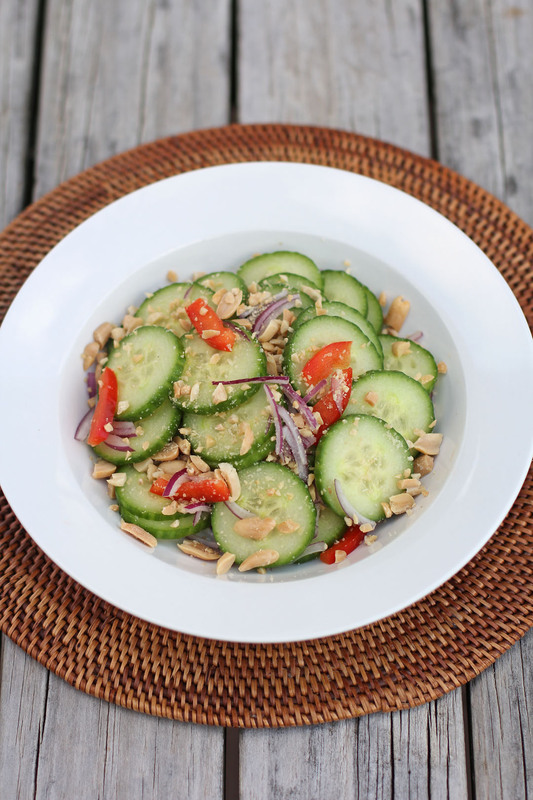 This is such a refreshing cucumber salad Raymund…I love the peanuts in it! It makes a lot of sense to serve salads as a side to balance the main dish, Raymund. 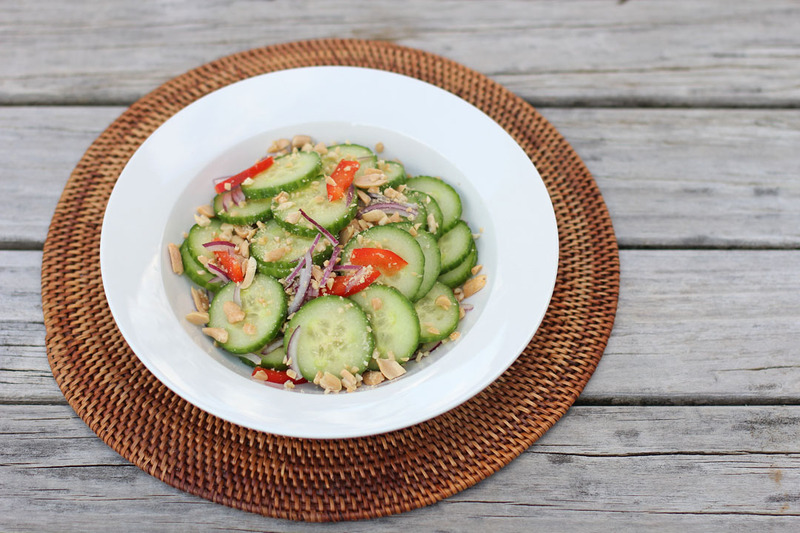 I am crazy for cucumbers so I’d happily eat this salad. This sounds delicious and right up my alley. This would make a great lunch for me. I cook this too sometimes…but usually, I would add pounded dried prawns. I always wanted to make this! I had no idea lime was part of the dressing! I’m making it tomorrow lunch. Finally this must be the closest dressing!! Fish sauce in a salad dressing…now that’s different from where I come from anyway. I can see how it would work with the salad ingredients. A great salad and meal enhancer!